Imogen's Typewriter. 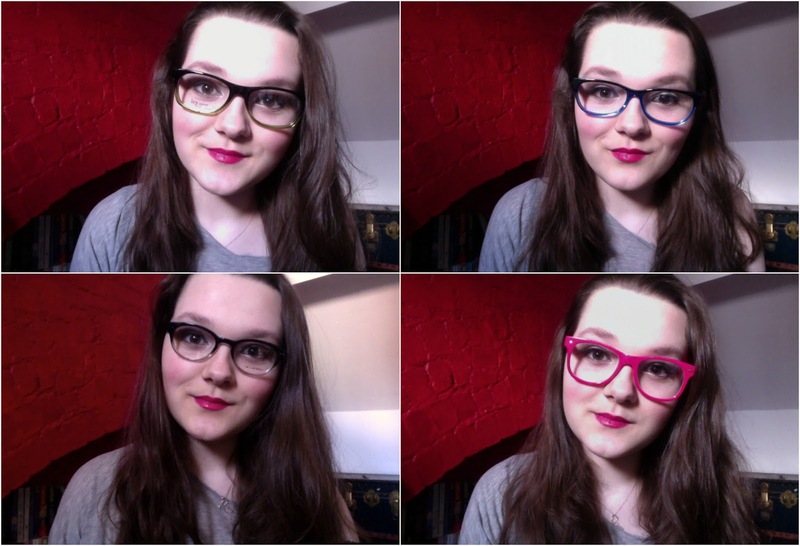 : Specspost Home Trial: Pick My New Glasses! I must say- I'm leaning towards the 'Hawaii Nights' because I just love green and have wanted some two tone glasses since seeing Chloe Dykstra look adorable in some. I think the pink ones are just too big for my face. And Fleet Street ones too small. But I also really like the blue ones… I need help! So which do you think? I love the first pair, and the pink ones would make great sunglasses.